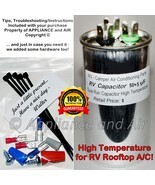 applianceandair This seller consistently earns high ratings from buyers, thanks to fast shipping and excellent service. We don't just sell parts - with over 40 years of repair service; we feel well prepared to help you solve technical problems. We offer top rated commercial parts for heating, air conditioning and refrigeration, major appliances, pool and spa, RV equipment, and much more. All listed parts are available in our warehouse, and ready to ship within 24 hours after your purchase! Every part comes with easy to read instructions, troubleshooting tips and commonly even with hardware. 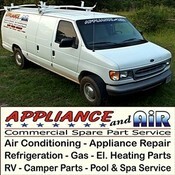 Thank you for your business - your applianceandair.